Enterprise Resource Planning is not the exclusive domain of large companies. 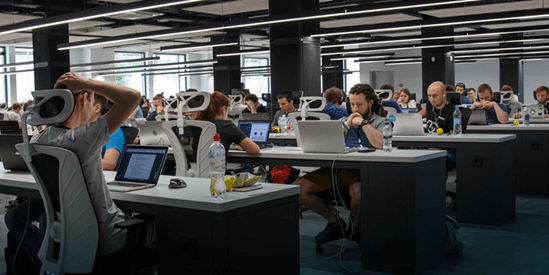 While other ERP systems are too comprehensive for small and medium-sized businesses, Microsoft Dynamics 365 Business Central is an all-in-one solution specifically tailored to SMEs. It lets you gain an end-to-end view of your business, resulting in improved customer engagement and smarter decisions. Get a complete overview of your business by connecting data across departments. Close and report on financials faster while still emphasizing accuracy. Dream of more sophisticated financial forecasts? Make them a reality with advanced data analytics. Use built-in intelligence to predict which stocks need to be replenished when. No longer buy things you do not need thanks to dynamically updated inventory levels. Maximize profitability with smart recommendations about payments to your vendors. From forecasting to fulfillment, warehousing and output – optimize operations with automatically generated production plans, purchase orders, inventory tracking and calculations that will help you improve manufacturing capacity and resources. Only good things can come from better understanding your organization's financial performance. 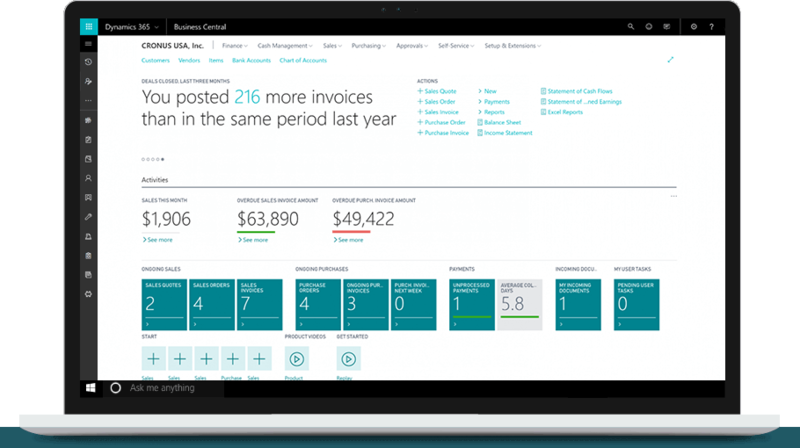 With Dynamics 365 Business Central as your business management tool, you will profit from increased transparency, streamlined business processes, improved customer engagement – all of which help you make better decisions. It does not matter whether you choose on-premises, cloud or a hybrid deployment since the user experience is the same. Of course, there are also mobile version that let you take care of business on the go. proMX’s extensive partner network includes proven experts for ERP software. 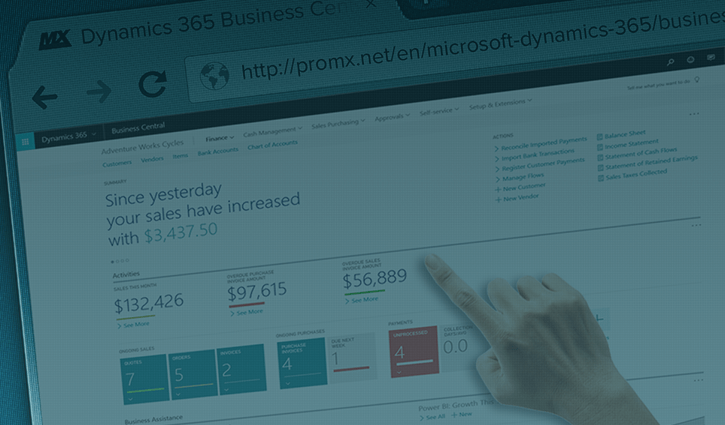 Jointly, proMX and its partners can thus support you in every aspect of Microsoft Dynamics 365. Work with companies that have a long track record of delivering success for their customers when it comes to digitizing the most important business areas. Are you looking to upgrade your solution from an out-grown accounting software or replace an existing ERP solution? Talk to a proMX expert and get individual recommendations.